A year after Google literally shocked us with the giant, 6-inch Nexus 6, the company is ready with a follow-up: the 5.7-inch Nexus 6P. But if you thought that the discrepancy in screen sizes (we're not used to going backwards with successors) is where it ends, you're in for a big surprise. Indeed, with the Huawei-made, Google-branded Nexus 6P, we've got a whole bunch of improvements and new features that are nowhere to be found on the now aging Nexus 6. From a better-looking exterior made out of more respectable materials, down to the stuff packed under the lid, the Nexus 6P is a true successor. Nothing quite says high-end nowadays, as does aeronautics-grade, anodized aluminum. With the Nexus 6P, there's plenty of it — the entire body is made out of it. 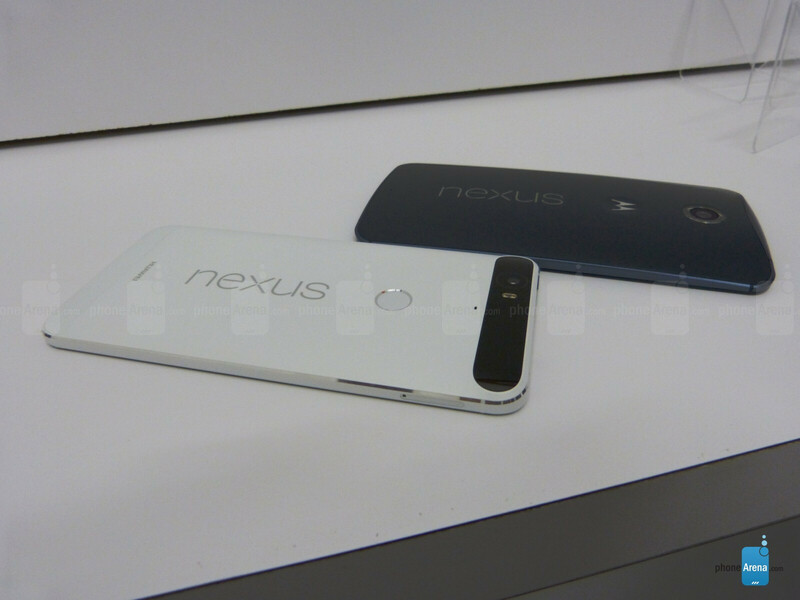 In comparison, the Nexus 6 makes do with just a metal frame and less impressive, but quite durable, polycarbonate. Of course, we've hardly exhausted the design particulars with both devices with just the changes in build materials. Indeed, the overall look of the two is quite different, starting with the pronounced black stripe at the top of the new 6P, containing all the camera gear and serving to distinguish the phablet from the sea of sameness lately. The diamond-cut edges of the phone also feel different from the more standard shape of the Nexus 6's frame, though the ergonomically shaped back of the successor sure reminds us of it. Moving to more quantifiable metrics, it ought to be made clear that the Nexus 6P, while exactly as tall as the Nexus 6, is significantly narrower (6.27 x 3.06 inches vs 6.27 vs 3.27 inches). It's also thinner for the most part (0.29 inchs vs 0.40 inches), though it fattens towards the aforementioned stripe, reaching Nexus 6-like thickness. Unsurprisingly, the Nexus 6P is also lighter (thanks, aluminum! ), tipping the scales at 6.28 oz, though that's not exactly a significant reduction compared with the 6.49 ounces of its forerunner. Finally, while both devices boast a duo of stereo, front-facing speakers, you'll find that the back of the Nexus 6P is further differentiated by the circular, touch-type fingerprint scanner that is nowhere to be found on the 6. In all, while it's unlikely that the Nexus 6P will win any design awards, our subjective take on the matter is that it's definitely more attractive than the Nexus 6. To each their own, though. We covered this already: The Nexus 6P comes with a smaller display than its predecessor. The shave in size isn't trivial, either: 5.7-inches versus 6-inches. Thankfully (or is it? 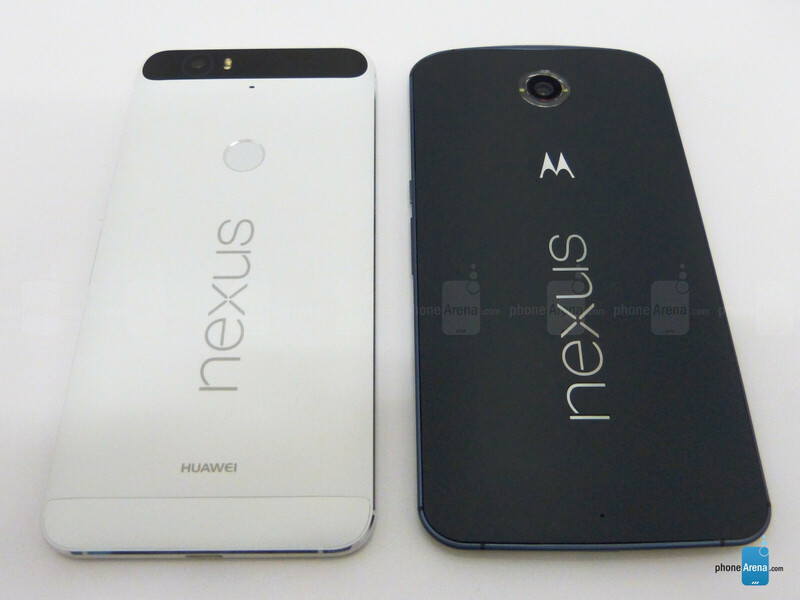 ), the 6P retains the sharp resolution of the Nexus 6, and boasts the same 1440 x 2560 pixels. Due to the mismatch in footprint, this actually hands the pixel density advantage to the 6P, which manages a cool 518 ppi. Regardless, at 493 ppi, you're unlikely to be unhappy with the Nexus 6's detail, either. On the surface, little else has changed. Sure, the Nexus 6P's display does come protected by the newer, anti-microbial Corning Gorilla Glass 4 (versus Glass 3 for the other), but we're still looking at an AMOLED display that, without further digging, may prove better or worse calibrated than the Nexus 6. Let's hope it's the latter. Also, the Nexus 6P better deliver better maximum brightness, for the 260 nits of the Nexus 6 were just disappointing. While us humans will be forever perplexed with the meaning of life, it's simpler with devices from the Google Nexus family. They exist to provide an example of what pure, unspoiled Android (hot from the ovens in Google's labs) should look and feel like. Sure, one can argue that melding that with quality hardware is part of the point, but it's still overwhelmingly about software. Speaking of software, the Nexus line is uniquely positioned compared to outsider devices in that it always gets (and will continue to) Android updates first. It literally takes less than a month from the official release of the new goods before you get it on the majority of Nexus phones and tablets. With that in mind, we won't bother comparing the Nexus 6P's Android 6.0 Marshmallow build with the now aging Lollipop on the Nexus 6 — the latter will get in no time, so it's a moot point. That doesn't mean that Google hasn't included some neat new functionality with the Nexus 6P, and we already highlighted an important bit: fingerprint scanning, which will serve to complement mobile payments (Android Pay) nicely. Beyond that, Google has also made it much easier to quickly access the camera through a double-click of the power key. That's about it. Despite the community having managed to demonize Qualcomm's flagship system chip, the Snapdragon 810, the octa-core processor serves as the brains of the operation with the Huawei 6P. It's coupled with an Adreno 430 GPU and 3 gigs of RAM. Now, it'll be interesting to see how the 810 handles itself inside the 6P, what will all the space available to enable more intelligent thermal designs, but more specifically — whether it'll prove noticeably faster than its predecessor. Speaking of the Nexus 6, that one packs the still quite dependable Qualcomm Snapdragon 805 — a quad-core solution, clocked at 2.7 GHz (compared to 2GHz for the SD810). Like the 6P, the Nexus 6 also packs 3GB of RAM, so the playing field might be more even than the marketing denomination of the two chips suggests. On the storage front, the Nexus 6P scores a small victory, with 32GB, 64GB, and 128GB models expected to be made available. In contrast, the Nexus 6 peaks at 64GB of memory. Neither presents the option to expand upon that through a microSD card — Google hates microSD cards. On stage, Google's VP of (Android) Engineering, Dave Burke, appeared quite content with himself when talking about the camera Huawei and Google agreed on for fitting inside the 6P. We've got a 12.3-megapixel unit, complete with f/2.0 lens and large, 1.55µm pixels that can (theoretically) capture some 90% more light than the Nexus 6. Speaking of the 6, it's got a 13-megapixel main snapper, also teamed with f/2.0 lens, but with smaller, 1.12µm pixels. That sensor (Sony's IMX214) is smaller at 1/3.06", which explains why the (suspected IMX377) unit on the Nexus 6P packs bigger pixels. Both configs also include a dual LED flash, though the newer Nexus phablet offers a fancier, IR laser-assisted auto focus, but no optical stabilization. That ought to mean faster focusing, but less steady footage, though Google didn't elaborate. Finally, while 4K UHD recording is a staple with the two, only the newer phablet can do slow-motion sorcery, with the cap set at 240 frames per second and (we guess) 720p resolution. 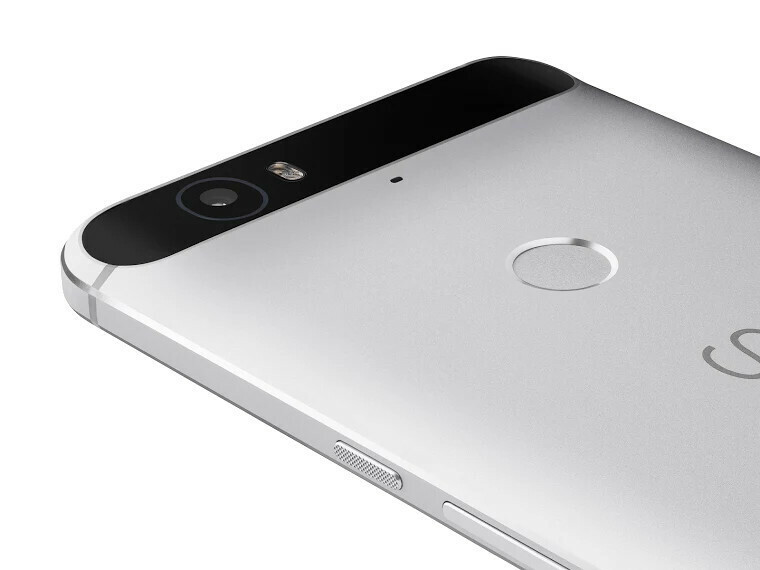 Circling to the front, we've got an area of significant improvement with the Nexus 6P: the selfie camera. Traditionally, this part of the package has always been woefully neglected, with selfies coming out of Nexus devices of old proving less than acceptable. Thankfully, instead of sticking with the impotent, 2-megapixel selfie shooter of the Nexus 6, in true Huawei spirit, the 6P moved to a more compelling, 8-megapixel unit. Can't wait for the selfie. The Google Nexus 6P is a worthy successor if we've ever seen one. We're not trying to discredit the Nexus 6 — it's still a very fine device today — but the improvements with the newer phablet are undeniable and plenty. From a more compelling design and build materials, through a reportedly excellent fingerprint scanner and better cameras, down to the larger battery of the heir (3,450 vs 3,220 mAh), the Nexus 6P is simply better. At least on paper. Oh, right, paper! In case you somehow missed this piece of information, the Nexus 6P is also a steal at just $499 unlocked (32GB model). 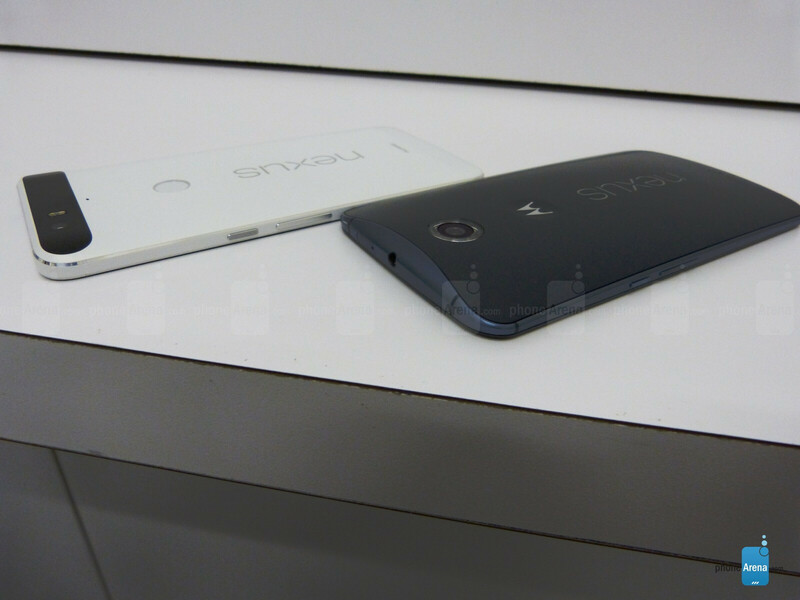 In comparison, the Nexus 6 right now varies in cost, but typically sits at $349 to $399. If you ask us, that extra hundred bucks might just be one of the better uses of your nerd budget. In a way, yes, but they dropped features N6 had instead of adding to them. 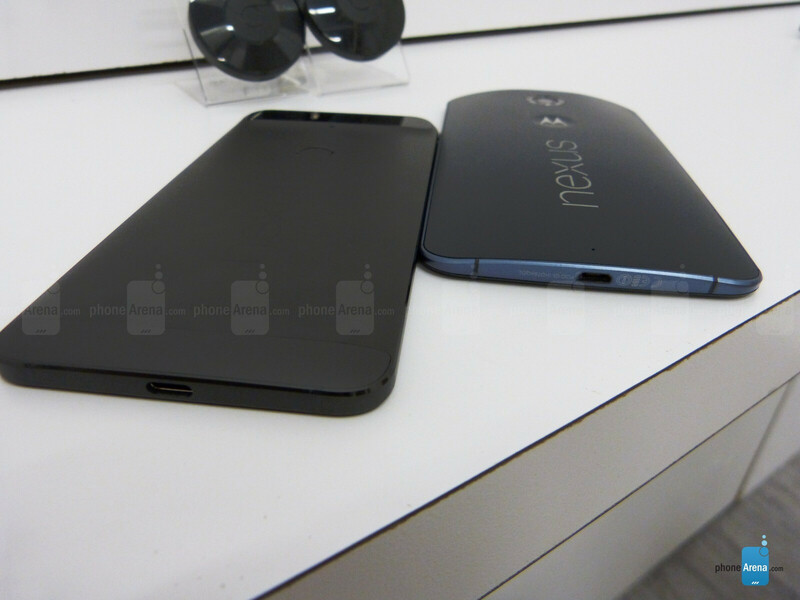 One example is that there's no Wireless Charging in the Nexus 6P but in the Nexu 6 it is. why no front comparison , is it the bezel google trying to hide? The guy who wrote this Article should've completed the comparison not publish half way. Correct, no wireless charging. I was disappointed in that, but preordered anyway. On the bright side the N6P has an led, the Moto N6 was lacking an led. Actually it does have an LED light indicator. For whatever reason tho Google has yet to release an update to enable it. But you can root your N6 and get it active. 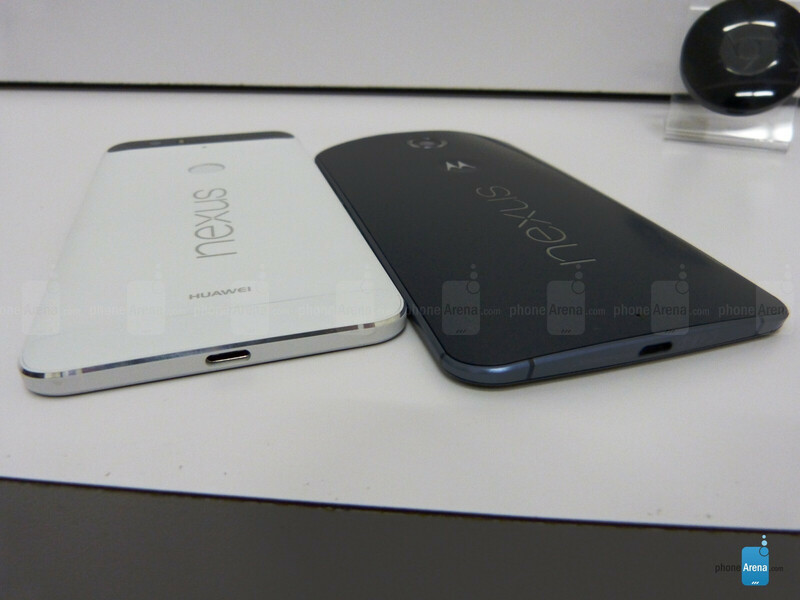 I would take nexus 6 over 6P.